Check PHP installation on LAMP server using PHP info? MatruDEV » Articles » Website » Setup » How to check PHP installation on LAMP server using PHP info? 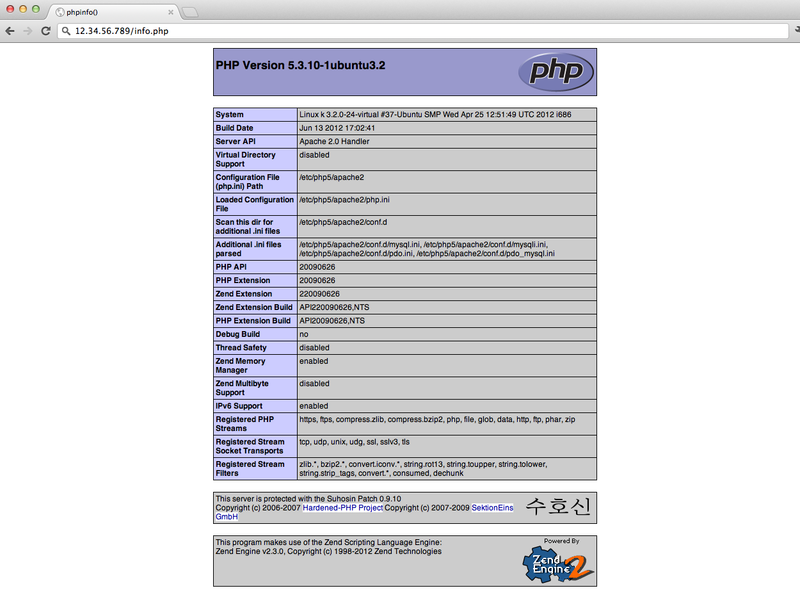 How to check PHP installation on LAMP server using PHP info? A guiding tutorial to check whether PHP is installed and working on LAMP server using PHP info. Once you have installed PHP on Linux server along with Apache and MySQL server, you can check whether PHP is started working using PHP info file. Save and exit the info file. You can edit file using terminal SSH. Related: How to search and install different PHP libraries and modules ? Once you have completed with restart, visit info.php file from IP address of server (Ex: http://12.34.56.789/info.php). It will look like this.